Started in about 1850 by the Dutch Reformed Churches of New York City (hence, the name), this cemetery also "received" the remains of many earlier burials from neighboring cemeteries. 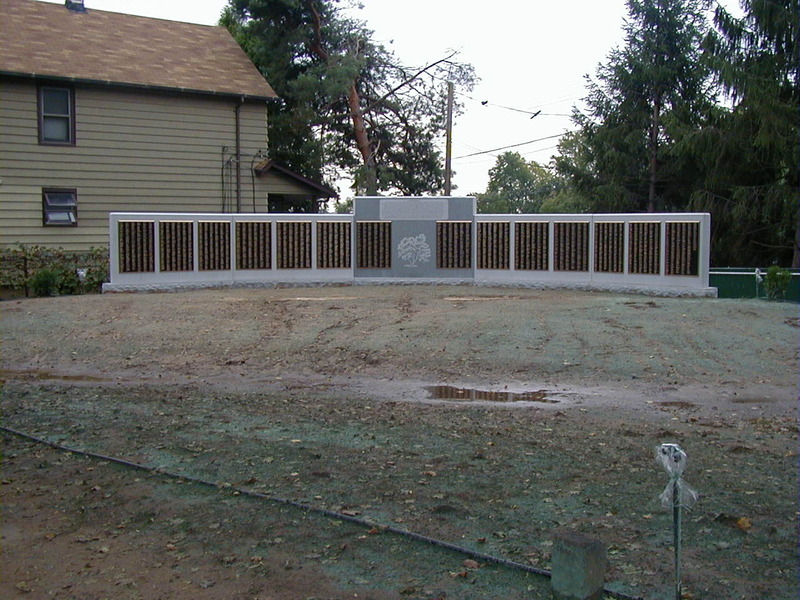 The monument erected by the New Jersey Turnpike Authority to remember those who were relocated to the Maple Grove Cemetery and those who still remain buried under the Turnpike roadway. The inscription of the monument at Maple Grove Cemetery erected by the New Jersey Turnpike Authority. The cemetery land adjacent to the monument for the Secaucus Potters Field. Some of the newer burials at the Maple Grove Cemetery. This section is just across from the monument for the Hudson County Burial Grounds. With it's winding narrow roadways and old growth trees this cemetery is one of the nicest so far in New Jersey that we have visited. Some of the older stones that have been broken. There are not many that were seen. This seems to be a well maintained cemetery, even the older stones are intact. Photo from outside the cemetery.